Potential shale-gas play areas for the Manning Canyon, Paradox, and Mancos Formations in Utah. Are They Just Really Ugly Rocks? Driving south from Price along Highway 6 and then east toward Grand Junction along Interstate 70, one observes a desolate, drab gray landscape of gullies, small buttes, low rounded hills, and slopes leading up to the massive Book Cliffs to the east and north, respectively. This is the Mancos Shale, a thick geologic formation composed primarily of mud and clay deposited in the bottom of an ancient seaway that extended from Canada to the Gulf of Mexico about 80 to 100 million years ago during the Cretaceous Period. 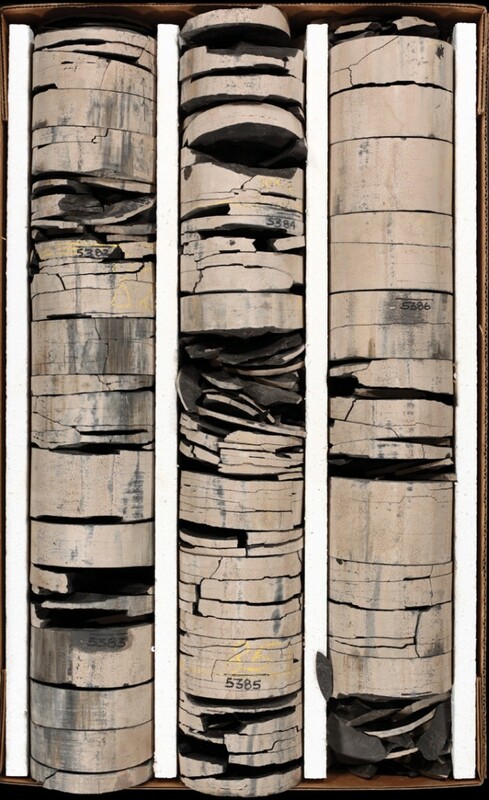 To look at these sediments, one might wonder what interest or value they could possibly have to anyone. When wet, they become a muddy quagmire and when dry, a desert wasteland. However, the Mancos and other Utah shales may contain the right stuff to generate, store, and produce natural gas. These shale beds are widespread, thick, organic rich, and buried deep enough in many areas to create and hold significant recoverable gas reserves. New Techniques and the “Hottest” Gas Plays in the U.S.
Shale-gas plays in Texas, Arkansas, Louisiana, Oklahoma, and the northern Appalachia states are the sites of extensive drilling programs. Not too long ago the U.S. was anticipating huge increases in natural gas imports. Although shale was known to contain natural gas, the numerous pores (open spaces) within the rock are very small and the permeability (the connectivity of those pores that allows gas or liquids to flow) is extremely low. However, new techniques were developed that changed many shales from only being a source of hydrocarbons (oil and natural gas) to major producers today, and thus the need for future gas imports has vanished. 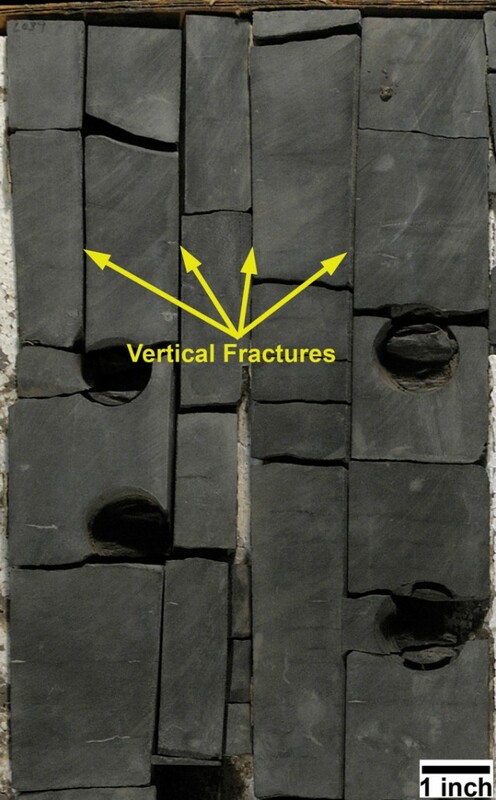 Once the target shale is reached, wells are now drilled horizontally to encounter multiple natural fractures. 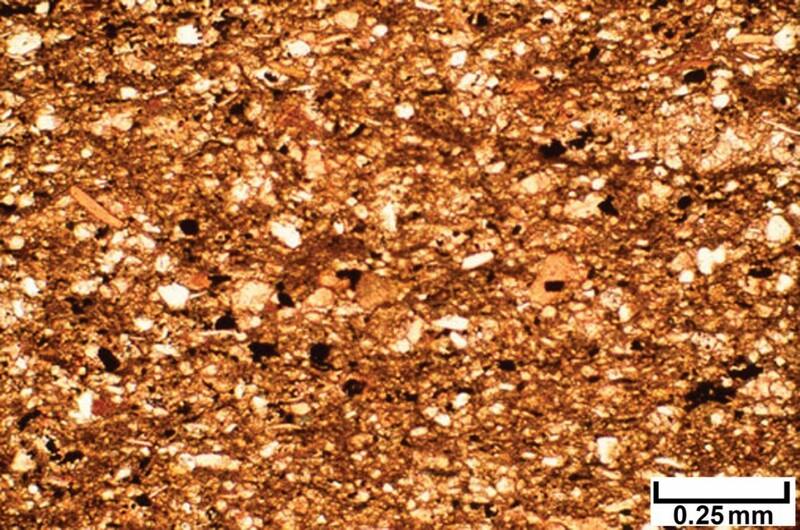 Shales that contain sand and silt are usually brittle and therefore more susceptible to fracturing. 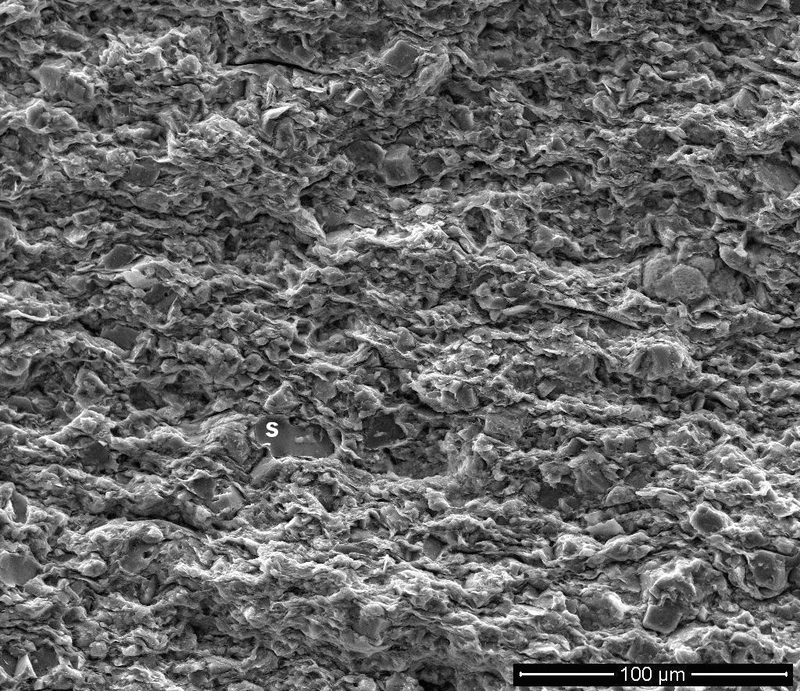 Hydraulic fracturing techniques (see “Energy News” on page 8) further increase the number of fractures and the amount of permeability. The result of these new techniques and drilling activity is that the major U.S. shale-gas plays have 1400 trillion cubic feet of commercial, recoverable gas. But what about the shale-gas potential in Utah? The Utah Geological Survey (UGS) is presently conducting major studies of Utah’s shale-gas resources in the Manning Canyon, Paradox, and Mancos Formations. Although the organic content of some of these shales is partially known, the reservoir quality and the basic rock-mechanics data so important to successful well completions are virtually unknown. Also, the regional distribution and thickness of these rocks are poorly mapped and the extent of the gas plays has not been defined. The burial history of these shales, critical to understanding gas generation, appears complex and probably varies widely from deep to shallow. There are no published studies of the best completion practices (horizontal drilling and hydraulic fracturing techniques). The UGS studies address all of these issues. The Mississippian (around 320 million years ago) Manning Canyon Shale in central Utah has long been known for its potential as a hydrocarbon source rock, but has not been considered as a potential gas producer. The Manning Canyon is mainly shale with interbeds of limestone, sandstone, siltstone, and mudstone, and has a maximum thickness of 2000 feet. These interbedded brittle rock types are ideal for hydraulic fracture stimulation. The Manning Canyon may have been deposited in a shallow restricted marine, brackish, and freshwater setting like the modern Everglades and Florida Bay. 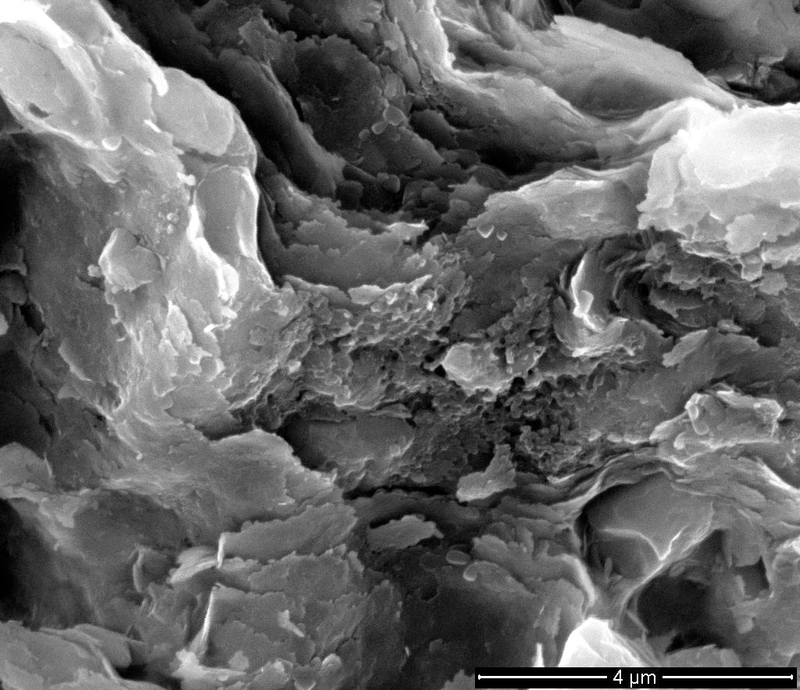 Total organic carbon that can create hydrocarbons in shale varies from 1 to 15 percent. Over time, the Manning Canyon was buried deeply enough to generate natural gas. The greatest Manning Canyon potential is a 600-square-mile area at the north end of the San Rafael Swell, south and southeast of Price. Several recent wells have had significant shows of gas from the Manning Canyon and additional drilling is planned. In the Paradox Basin of southeastern Utah and southwestern Colorado, the Pennsylvanian (around 310 million years ago) Paradox Formation consists of thinly interbedded, black, organic-rich marine shale, siltstone, dolomite, and anhydrite (an evaporitic rock). The shales generally range between 25 and 50 feet thick and are the source rocks for the oil in Utah’s largest oil field—the 450-million-barrel Greater Aneth field. In Utah, exploratory efforts are just beginning to target some of these shales for gas. The Colorado part of the basin has seen considerable success using horizontal drilling. Our study has revealed two very important features of these shales: (1) most contain significant amounts of silt and are therefore brittle, and (2) bounding and interbedded carbonates (limestone or dolomite) possess modest amounts of previously unrecognized pore space that may contain gas. These carbonates, as well as some shales, also possess numerous fractures. Therefore, new gas discoveries are highly probable not only from the shales themselves, but also from the associated carbonates. The Mancos Shale is an emerging shale-gas play in the Uinta Basin of northeastern Utah. Existing gas production from more conventional sandstone reservoirs in the basin could be greatly enhanced by the addition of recoverable gas in the Mancos from new wells or bypassed gas zones in existing wells. The Mancos is an extremely thick (as much as 3500 feet) package of rock consisting of different types of shale, siltstone, and very fine grained sandstone. Unlike the Manning Canyon Shale and Paradox Formation, production from the Mancos Shale is proven within the Uinta Basin. The Mancos has more than 50 producing wells scattered over the basin and most of these also produce gas from overlying and underlying sandstone reservoirs. Estimated ultimate gas production from the Mancos ranges from 3 to 6 billion cubic feet per well. 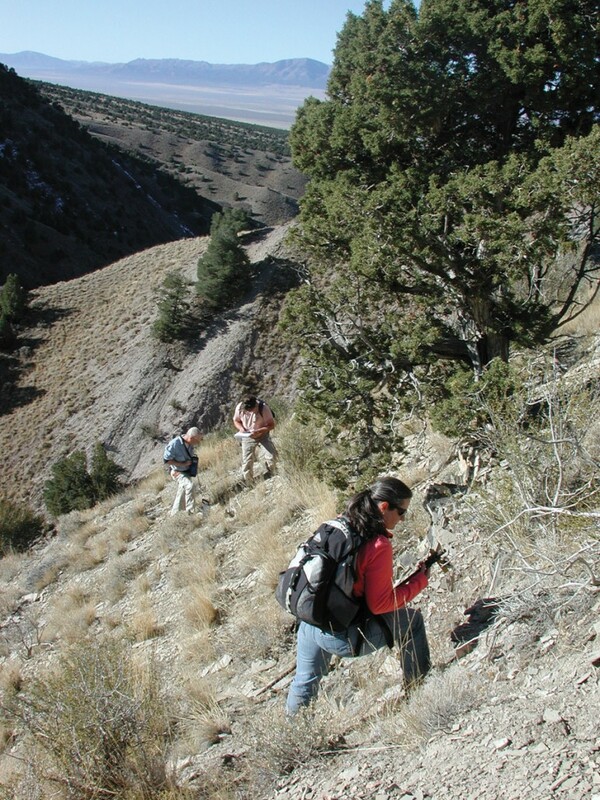 Upon completion, the UGS studies will identify premium target zones, determine the resource potential, and potentially lower the economic risk of exploration and development of Utah’s shale-gas plays, especially in environmentally sensitive areas, thus encouraging larger-scale, commercial production. For more information, visit our Web page at geology.utah.gov/emp/shalegas/index.htm. So the next time you are traveling through those gray, muddy rocks in east-central Utah, remember that although they may be “ugly,” they contain the right stuff —natural gas!